This time we will discuss about one of Bina Nusantara alumni 2017 named Gabriela Sari. 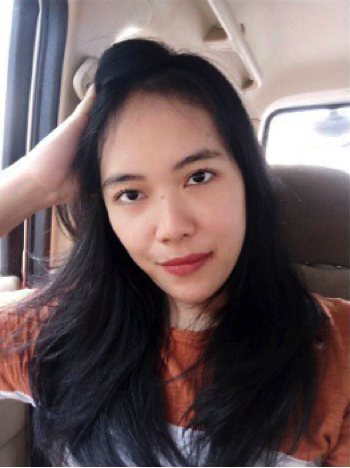 She is one of the exemplary student of Marketing Communication students who get good value when in Bina Nusantara which has IP: 3.40, Gabriela Sari also once become Buddy Coordinator when she become new student at Bina Nusantara Alam Sutera. When University in Bina Nusantara semester 8, She doing internship in PT. Indofood Sukses Makmur Tbk as a Public Relations. Gabriela think Bina Nusantara give a chance and big opportunity to all students with internship experience. Now she’s work in PT. Bank Danamon Indonesia Tbk as a SNDDP (Sales and Distribution Development Program) and start to be Management Training.